Azerbaijan and Vatican have established close friendly relations, and these relations are especially actively developing in the humanitarian sphere, Bishop Vladimir Fekete, apostolic prefect of Azerbaijan, told Trend. The bishop recalled that the Azerbaijani government provided assistance in restoring the ancient catacombs in the Vatican within humanitarian cooperation. The opening of the Saint Marcellino and Pietro’s catacombs (restoration started in 2012) was held in the Vatican in February 2016 and the St. Sebastian’s catacombs (restoration work began in 2016) - in September 2018. Fekete underlined that mutual humanitarian activity envisages a large spectrum of bilateral cooperation between the Holy See and Azerbaijan. “Very ancient documents, letters and materials relating to Azerbaijan have been found in the archives of the Vatican, and the possibility of holding an exhibition in Baku at which these interesting documents may be presented to the Azerbaijani public is being discussed at the level of the governments of the two countries. At the moment, this issue is in the spotlight of the Vatican and Azerbaijan governments,” he said. He reminded that the Vatican was among the first states to recognize the independence of Azerbaijan. “From the very beginning, the Holy See - the Vatican and Azerbaijan enjoyed a high level of trusting relationships that continue to this day. I believe that the agreement on the legal status of the Catholic Church in Azerbaijan signed in 2011 further strengthened these bilateral relations,” Fekete added. Diplomatic relations between the Republic of Azerbaijan and Vatican were established in 1992. In 2008, the Memorandum of Understanding was signed between the Heydar Aliyev Foundation and the Roman Catholic Religious Community. 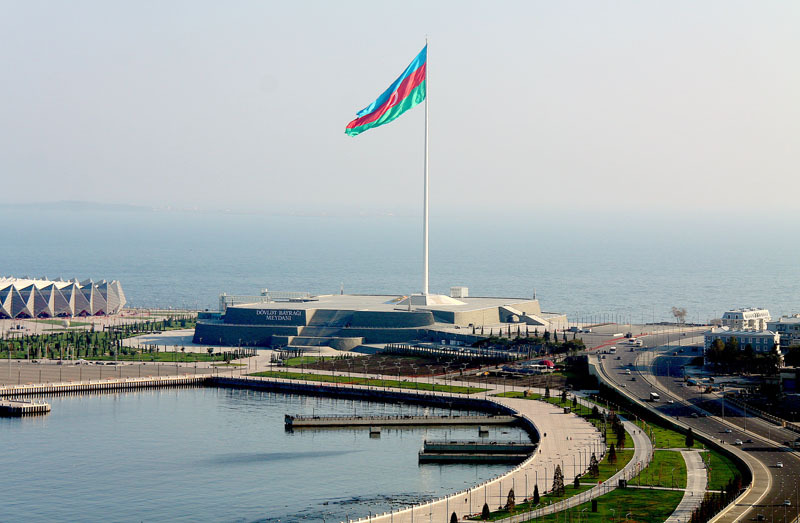 The document envisages the implementation of measures aimed at the ethno-cultural development of the peoples inhabiting Azerbaijan, as well as the support for the reconstruction projects, social and religious facilities in the areas identified in the document. In the same year the Catholic Church was inaugurated in Baku. The Catholic Church in Baku was first built in 1912, but in 1934 the church was destroyed by the Soviet authorities. Azerbaijani expo dedicated to 20th anniversary of diplomatic relations was held in the Vatican museums in 2012. It was the first Muslim country fair in the Vatican. The exhibition "Historical Review of Azerbaijan's Pearls" opened in Vatican on the occasion of the 20th anniversary of the establishment of diplomatic relations between Azerbaijan and the Vatican with the initiative and support of the Heydar Aliyev Foundation in 2012. One of the main features of the exhibition was the presentation of our country as a crossroad of cultures and civilizations. The archaeological materials found in the territory of Azerbaijan, reflecting the culture and lifestyle of Azerbaijan, various art samples, Azerbaijani carpets, ancient manuscripts, and holy books of different religions were demonstrated at the exhibition. Various editions of the Heydar Aliyev Foundation in Italian were also presented. In 2012, "Bilateral Agreement on the Restoration of Roman Catholic Cities” was signed between the Heydar Aliyev Foundation and the Holy See. The Foundation has funded the restoration of a number of historical monuments and churches in the Vatican. In 2015, with the support of the Heydar Aliyev Foundation, Vatican's Saint Marcellino and Pietro Catacombs were opened after the major repair and reconstruction works. The Saint Marcellino and Pietro catacombs are one of the most important and most interesting monuments for the Christian world among the approximately 60 catacombs around Rome, located on Labicana Street. Countless paintings are also stored here.